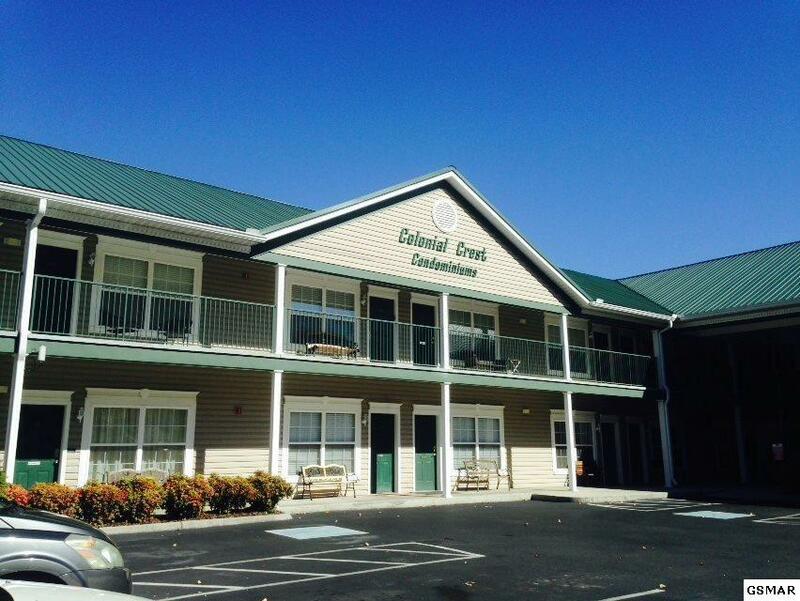 *** I CAN BE BOUGHT *** YOUR OWN PIECE OF PIGEON FORGE COLONIAL CREST Just like new condo is located in the Colonial Crest Condos 1 block off Pigeon Forge Parkway. 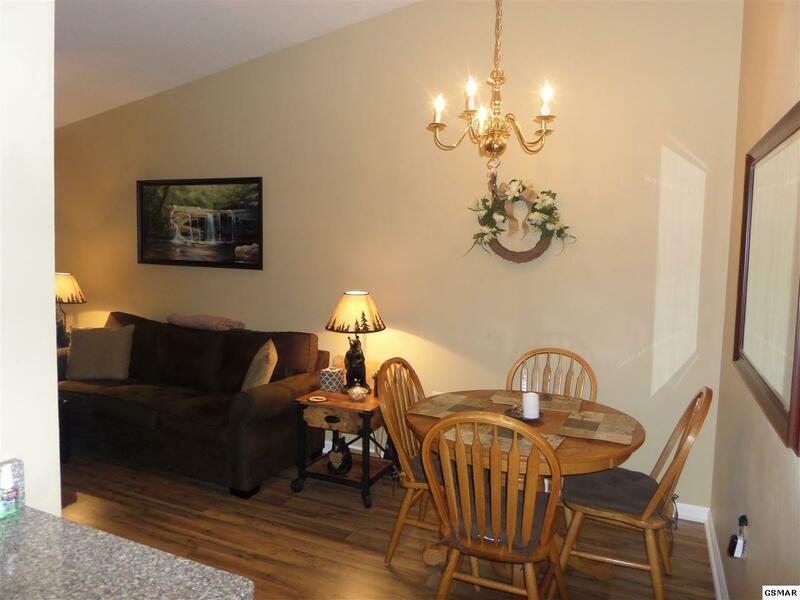 Immaculate 1 bedroom, 1 bath is fully furnished with charming mountain decor. Cathedral ceilings give it an OPEN & spacious feel. 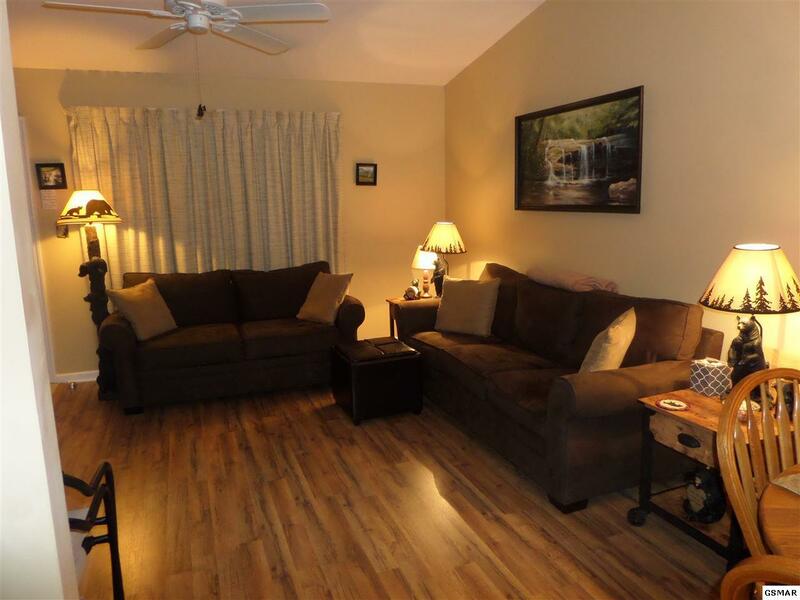 Many upgrades including new flooring,extended cabinets & one of few units with a dishwasher! Gas log fireplace, sleeper sofa. The dining area is open to the living room and kitchen with Separate galley style kitchen loaded with all the appliances and dishes and cookware. The bedroom has a 2 person whirlpool with king bed. Community pool, grill area and gazebo. This lovely condo is conveniently located in walking distance to MARGARITAVILLE and ALL Pigeon Forge has to offer...minutes to Dollywood, Patriot Park, the Pigeon Forge Public Library and Community Center, LeConte center and a short drive to the Great Smoky Mountains National Park, Cades Cove, The Smokies Baseball Stadium, Bass Pro Shops and I-40. 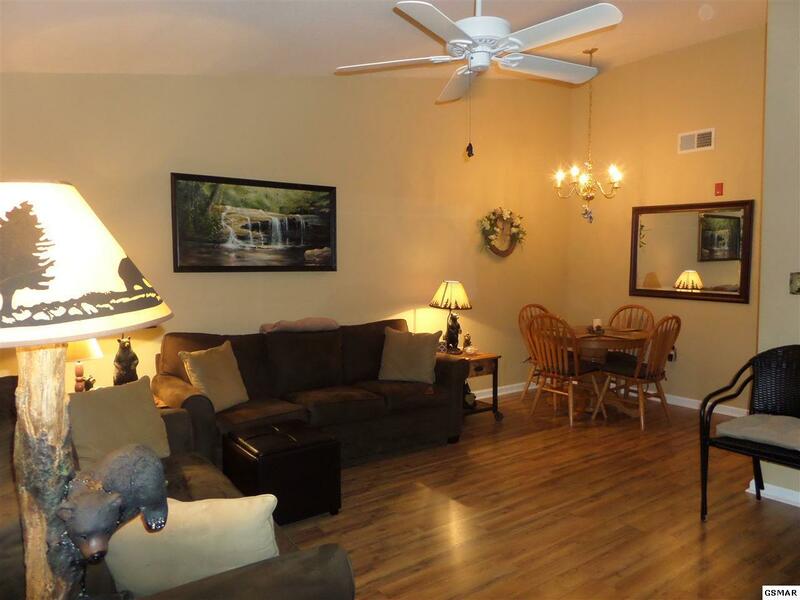 These condos have trash pick up, cable available, pool, paved parking, INTERNET. HOA fees are REASONABLE! Living Room Comments Gas F/P Cozy!! !